Have you heard about the Donkey kick exercise? Most likely not! This is the latest fitness mantra that people are swearing by. It is a part of aerobics and both men and women can do it easily. If you are fighting cellulite, this is the exercise routine for you! The name may draw a few laughs, but it can do wonders for your hip and lower back muscles. Also known as quadruped hip extensions and bent-leg kickbacks, including this routine into your workout regimen is sure to give you a firmer bottom! You don’t need any kind of equipment for the donkey kick exercise. This is the best exercise to work your glutes. If you think that this exercise is only for the vain, think again. A firm and healthy glutes enables you to walk, run, jump and twist. Don’t you think that such hard working muscles deserve some special treatment? 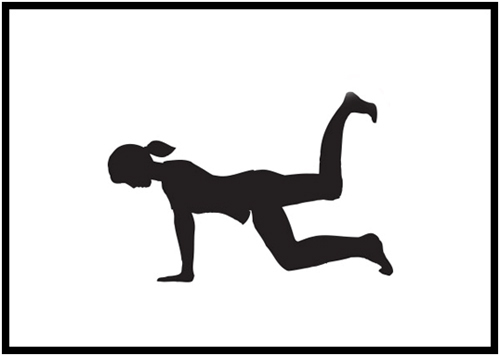 So here are a few donkey kick exercises for a firmer derriere! 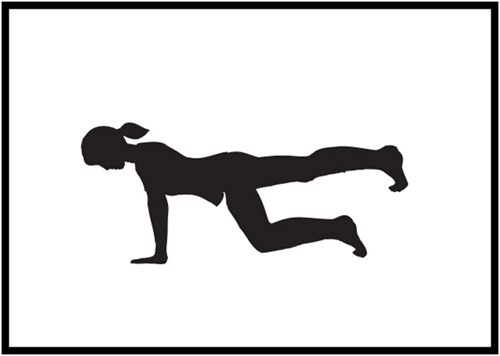 Get down on all fours, hands and knees on a mat. Position your hands below your shoulders. Ensure that your knees and hips are aligned. Keep your torso, including your head, straight. Lift up your left leg while keeping the knees bend, so that the thigh is parallel to the floor. Make sure the foot is pointing towards the ceiling. Try and stretch the foot as much as possible without moving your upper body and keeping the abs tight. Come back to the original position and repeat the same process with the other leg. Switch legs and repeat at least 8 times. Get down on your knees and hands, keeping the hands shoulder length apart and the knees tucked under the hips. Put all the weight on your toes and hands. Kick out so that your feet touch the wall behind you. Do not move your upper torso. Your body and hands should remain in the same position all throughout the routine. Repeat at least 10 times to get maximum benefits. The original posture remains the same in almost all donkey kick variants. Down on all fours. Keep the knees together and lower your upper body further by bending your elbows and keeping the forearm straight on the floor. Straighten your right leg and lift it as much as you can. 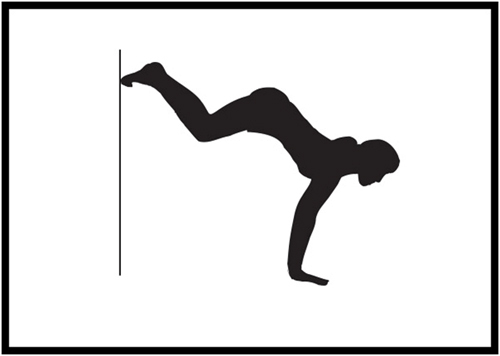 Do not bend the knees or move the hips. Bring down the leg and repeat with the other leg. Repeat 15 times minimum for each leg. As before, get down on your hand and knees. Just like the basic donkey kick, lift your right leg, knees bend, thighs parallel to the floor. Place a dumbbell (check the weight with your instructor) behind your right knee. Rotate your leg to the right in circular motion, using your hips. Do this 5-6 times. Rotate the same leg to the left in circular motions, again 5-6 times. Change legs and repeat the whole process with the left leg. 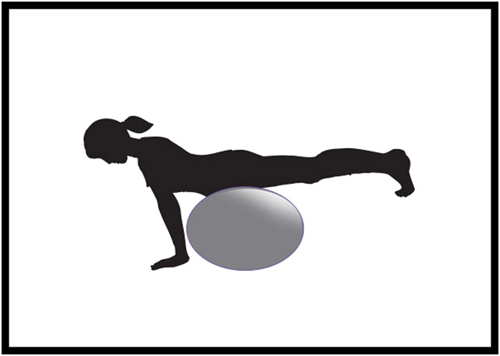 Stand about a foot away from a stability ball.You can determine the distance according to your comfort level. Bring down your upper body so that you can place your hands on the ball for support. Lift up your right leg, bending at the knees at 90 degrees. Now kick back has high as you can. Repeat 15-20 times before moving on to the left leg. This is not a classic donkey kick exercise but serves the same purpose. Lie face down on a stool, with your legs hanging off the edge. Straighten your legs so that your whole body is aligned. Repeat 5 times at the least. All these donkey kicks variants work on the leg and hip muscles, giving you a firmer and stronger buttock. Make these a part of your daily workout routine and flaunt your newfound curves! Thus, enjoy the amazing benefits of donkey kicks! Do leave us your feedback in the comments section below.